Marlins were up against an established Old Mid-Whitgiftian side, though were off the blocks with enthusiasm. The old mid-whitgiftian forwards had a formidable front five, twice the PJFRFC front five, and pushed their weight about, from the start, though PJFRFC Marlins did well to contain them for the first 10-15 minutes. PJFRFC had a more mobile pack, though failed to utilize their strengths. It was only a matter of time though, before the Old Mid-whitgiftians utilized their strength up front, to unleash their back row forwards m, and their centers to attack the PJRFC line. This persistent pressure paid off, with their inside centre scoring his first of two tries. Old Mid-whitgiftians then went through a spell of poor discipline, and PJFRC were unlucky not to capitalize on their poor discipline. PJFRFC were solid in the line out with Kian MacNulty, Towering head and shoulders above all others. Will Walters and Pete Bennet, proved an invaluable asset to PJFRFC, This did help secure reasonable quality ball for the backs, and the Backs were able to try out some set piece moves, though struggled to penetrate the Mid-whitgiftian back line, and found themselves isolated, leading to turnover ball and the second try, 14-0. Marlins held their head high, and kept ball in hand and recycled it well, though were again caught in possession, and isolated, leading to another counter-attack try, 19-0. The PJFRFC back three, were stretched and called on to cover the width of the pitch, through some clever kicking, and the lack of cross cover, at the back, left them exposed, leading to another score, and trail 26-0. Old Mid-whitgiftians looked poor under the high ball, as Trumper highlighted from kick off, and PJFRFC Marlins, would be disappointed not to have utilized their strategic kicking to the best of their ability. Trumper tried various combinations from kick off, though good counter attacks by old mid-whitgifrians and poor defensive tackling, led to three successive tries, and trail 47-0. Mander, Tom White and Jules, put up a fight up front, though the sumo-wrestling Old Mid-giftian front three were a task to behold. Tom white did some excellent ball carries, calling on his fellow forwards to emulate him. The old mid-whitgiftian score machine kept rolling, and poor discipline again led to a disjointed PJFRFC attack, and ball lost in contact, and a counter-attack leading to another try, trailing 54-0. PJFRFC Marlins came close to penetrating the Old Mid-whitgiftian line, though were thwarted by good tackling, and again a counter-attack ensued to trail 59-0. 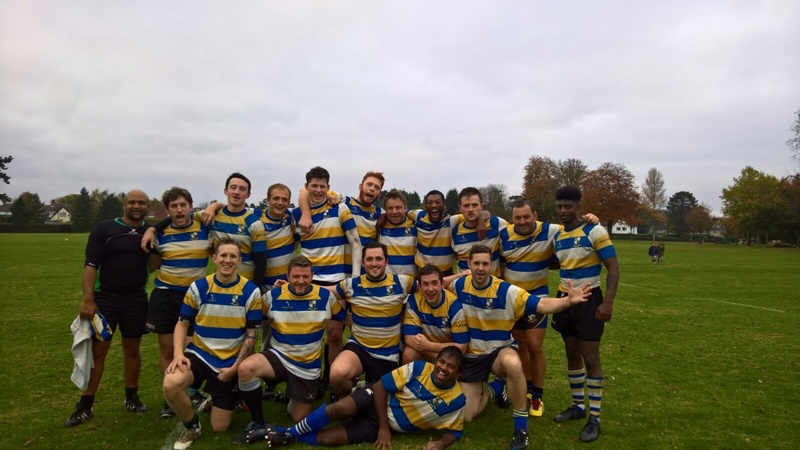 The last score of the game came off a 5 yard scrum, which was punched over the line to finish 64-0. Marlins entertain Chipstead next week, at home, and will be keen to make amends. This season is proving to be a competitive list of fixtures.